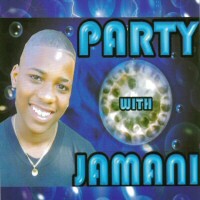 Party with Jamani is a refreshing mix of contemporary R & B, hip-hop, dancehall and reggae hits on the steelpan. Whether or not you know the vocal versions or the artistes who made them popular internationally - Hotel (R. Kelly); Burning (Sean Paul); Belly Dancer (Akon); Foot Prints (T.O.K) - you won’t forget this steelpan version for a while. 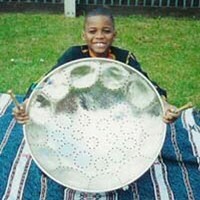 Yes, it is a steelpan recording by a teenager who plays the pan. He also raps with rhymes you can understand. The pan interpretations are faithful to the popular melodies with the pan leads prominent in both the instrumental and vocal tracks. Another distinction of the presentation is its potential inter-generational appeal. If you only know about the ‘steeldrum’ but love the current genres then Jamani introduces you to the steelpan as a lead instrument. Parents and grandparents who love mellow steelpan ensemble music can surprise their offspring by humming one or more of the featured tracks. Jamani’s multi-rhythm party is sure to be a joy for most music listeners.